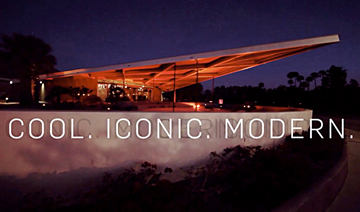 The desert comes alive February 12-22 for Palm Springs Modernism Week. The new film about Jerry (above) and Evelyn Ackerman debuts on Valentine's Day. If you love mid-century modern homes, vintage travel trailers, retro cocktails, and modern California design, Palm Springs is the place to be in mid-February. Tickets are going fast for events at Palm Springs Modernism Week. Among the highlights at the extended 'week,' which runs February 12 to 22, are a 'Rat Pack' walking tour, a tour of Frank Sinatra's old neighborhood, a modernism yard sale, the 'Party Like it's 1961' bash, lectures, and more. 'Eichler Day' will be celebrated on February 18, featuring the movie 'People in Glass Houses'; a talk by Paul Adamson, author of 'Eichler: Modernism Rebuilds the American Dream'; and tours of a new house by builder Troy Kudlac based on actual Eichler architectural plans. The work and lives of Evelyn and Jerry Ackerman—artists, ceramicists, designers, and mini-industrialists—will be marked on Valentines Day with the premiere of a film about their work, panel talks, exhibits, and—this being Palm Springs Modernism Week—food and cocktails. Attending will be Jerry Ackerman himself, who is 95. (Evelyn, the chief designer during the pair's heyday, passed away in 2012.) The event, 'Masters of Mid-Century California Design: The Story of Evelyn and Jerome Ackerman' takes place February 14. 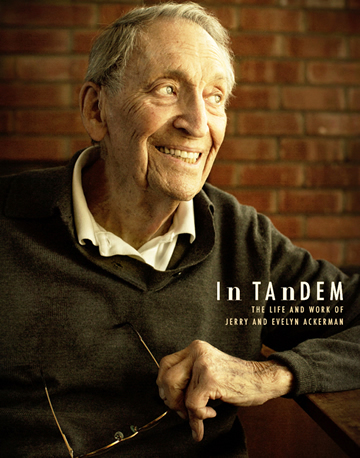 The event features the premiere of the new 22-minute film 'In Tandem: The Life and Work of Jerry and Evelyn Ackerman' by Margaret Halkin and Katie Nartonis. "Their particular niche was, they were able to successfully carve out a career in which they were straddling the line between the artist-in-the-studio paradigm and the production paradigm," Nartonis said of the Ackermans in an interview. "There was a sunny-ness, a joy to their work. It's not saccharine, it's not overly sweet," she said. "But it's joyful." Although much of Modernism Week focuses on the rich heritage of modern design in the desert, topics go farther afield, including a talk on Long Island Modernism on February 18 with historian and writer Caroline Rob Zaleski. Modernism Week, which is run by a nonprofit organization, has been growing exponentially since its inauguration in 2006. Partners in the effort include the Palm Springs Art Museum, Palm Springs Historical Society, Palm Springs Modern Committee, Palm Springs Modernism Show, and Palm Springs Preservation Foundation. A particularly appealing feature of Modernism Week, particularly for those who enjoy cruising, is 'Illuminated Modern,' an exhibition with accent lighting that can be seen nightly by anyone walking, driving, or even skating down Palm Canyon Drive. "The building exteriors will be illuminated with a variety of specialty lighting styles and artistic colors projected onto the structures," the organizers write, "revealing the name of the architect and year of construction." That tells you the tone of Modernism Week—educational yet fun. For more, click here.